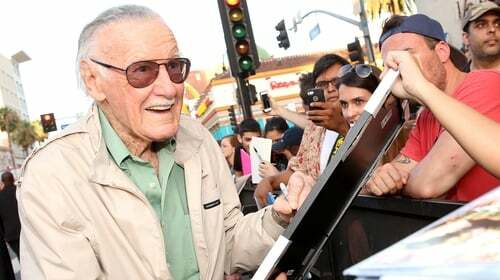 The outpouring of tributes to the late Stan Lee, the creator of the modern superhero era, speaks volumes as to his impact on the many generations who grew up around the comic books he created and co-created through the later part of the twentieth century. So much so, here we are already almost two decades into the twenty-first century and the influence of his work hasn’t likely even peaked. Stan’s passing leaves only one surviving member of my personal founder gang-of-five, responsible for colouring my own childhood and formative years on this planet. He's in austere company, being as influential as Walt Disney, Chuck Jones, George Lucas and Jim Henson. Life without the likes of Spider-Man, Daredevil, The Fantastic Four, The Incredible Hulk, The Uncanny X-Men, The Mighty Thor and Doctor Strange became inconceivable to me the older I got. I took the slings and arrows that came with being seemingly the only comic nerd in my secondary school class in the 1980s. I’m sure there were more, but I was the only one ‘out’, so to speak. My, how times have changed. An introvert by nature, I reveled in both the down-to-earth and otherworldly adventures I found in the Marvel universe Stan had created (with the invaluable contributions of an extended team of journeyman visionaries) in the 1960s. However, it’s the former - making superheroes essentially ‘human’, with real, relatable problems rolled into their fantastical adventures - which is the kernel of what made him a maverick, a revolutionary, and a legend. He retired from writing comics in 1972, and became Marvel’s full-time publisher and figurehead. From this position, he never stopped engaging readers through his editorials, continuing to make all us comic book heads feel like members of the Marvel universe family. For some, music was their way out of the dregs of an all-too-often grey suburban Dublin. For me, it was the splash pages, the shocking cliff-hangers, the minutiae of continuity, the struggle of good over evil that brought Technicolour to my teen years. So much did they mean to me, that with a couple of like-minded friends, Tom and Leslie, I opened a comic book shop in the old Abbey Mall. I was the only one of us still in school. As a result, my Leaving Cert years suffered somewhat from taking my eye off the academic ball. (Though I do attribute my B in art to my creation of Bogus, Creature Of The Bogs - "Cowpat by day, avenging hero by night" for the exam). But I was in business! And I was educating my eye and nourishing my artistic tastes across the plains of so-called modern sequential art. That’s the high falutin' phrase I would sometimes use if I didn’t want to tell people that well, I was into comics. In 1989 comics went mainstream in Dublin with the opening of the Forbidden Planet comic shop on Dawson Street. ‘With great power comes great responsibility’, announced Kenny, the Scottish franchise owner, upon appointing me store manager at the age of 19, while quoting Stan The Man himself. My years behind the counter coincided with a remarkable creative renaissance in the comics world. Admittedly, this deconstruction mostly came from DC, with the publication of The Dark Knight Returns and Watchmen. For me, Marvel was in a golden period too, holding the month-to-month mantle with such great writers and artists as Ann Nocenti, Arthur Adams, Walt Simonson, John Byrne and Chris Claremont. DC became the cool kid, its position cemented by the arrival of Tim Burton's Batman movie during the summer of ‘89. This, ironically, was the complete antithesis of the new age ushered in by creators like Dark Knight’s Frank Miller and Watchmen’s Alan Moore and Dave Gibbons, no matter how dark and gritty Tim Burton’s movie pretended to be. But Marvel stayed the course, maintaining a more constant level of engagement with us nerds, now tens of millions in number. The result? We inherited the pop culture earth. Comics are long now legitimately mainstream. So much so that they’ve transformed both cinema and television as we know it today. For good or bad? Well, that’s the subject of a still-evolving debate. Initially, I thought it was a phase. And I was right. But how many phases are we into now with the Marvel movies? The third one will climax next year with the latest epic Avengers sequel. 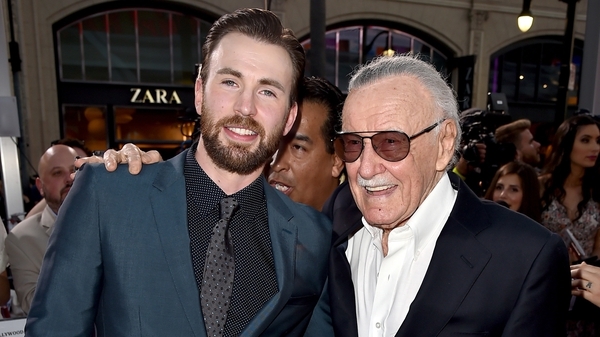 This will also feature the last hurrah of their co-creator; founding father Stan has made cameo appearances in all Marvel films to date, and the second Infinity Wars movie will be his last. I don’t know what sort of man I would’ve become without the joy his creations and their offspring have brought into my life. They kept me afloat through several years of depression and tough family times. I still read them, albeit mostly as graphic novels and collections now. As the reality of emigrating to Argentina, returning, and moving house over the years left me with precious little room for thousands of comic books. I remember my days in the Abbey Mall and Forbidden Planet with great fondness. I made many lifelong friends during that time and was privileged to encounter some of the comic creators I’d been following since I was a boy. Marvel had many fathers - Jack Kirby and Steve Ditko to name but two of The Man’s legendary pencil wielding partners in crime. But the last man standing was the master. To infinity and beyond, Stan Lee! ‘Nuff said.